If you’re in ecommerce then the chances are that you’ve already heard of brand sentiment and are going to some lengths to gather data for it. If you’ve never seen the term before, you probably have some intuition as to what it is: attitudes and general opinion towards your product or service. 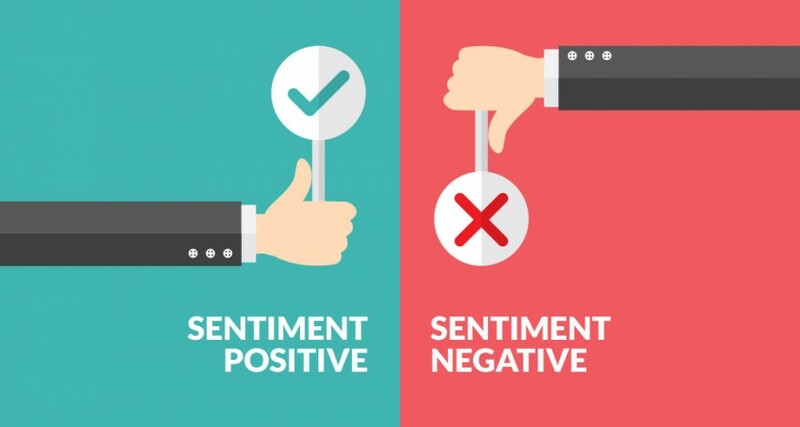 Whether these are positive or negative associations, they are all considered vital sentiments that contribute to sentiment. The reasons for analysing this data are numerous, and it makes sense that some of this information is gathered from ecommerce websites. However, with social media continually growing in both size and popularity it’s become ever more imperative that businesses start to put together a strategy to incorporate social media data in brand sentiment analysis. As with most digital analysis, the reasons to use sentiment analysis evolve in line with the way in which people consume media. The core reasons to use this data, however, remain and can be applied to social media. It’s all very well having an enormous surge in social mentions, but it can be a significant issue if a large proportion of them are negative. Sentiment is driven by emotion, and the resultant mentions are a reflection as to how people are feeling with regard to your brand. If there are high numbers of negative mentions, you’re going to need to work out why and look at solutions for repairing any damage to your reputation. Audience potential on social media is huge, and it can be difficult to repair entrenched negative associations. Social media marketing campaigns are becoming more sophisticated and it’s increasingly difficult to grab and hold people’s attention for the right reasons. With so many stories as to how brands have got it wrong, it’s a good idea to be collating attitudes towards a campaign throughout its duration. If sentiment leans towards the negative, you can act quickly to adapt and assess how to avoid similar pitfalls in the future. In the worst case scenario, it’s best to be informed and to determine whether to pull a campaign rather than let a failing one continue. On the flip side, analysing positive campaign impact is just as important in mining good strategy to apply to future efforts. When a particular post is shared more than another, of course you’re going to want it to be driven by positive sentiment. Knowing what your audience responds to is by far the best way to plan an effective content strategy for multiple social media platforms. They used to say that there was no such thing as bad press, but this is an outdated sentiment. In a fast-paced digital world, reputation can go a long way and knowing how people are responding to the content you are putting out is key in synthesising future content. Brand sentiment will, of course, change over time, and your response to it will shape this. Know how to use the data you’re gathering and utilise appropriate sentiment technologies to improve accuracy and make the management of volume data tenable. This will ensure that you are maintaining, improving, or changing the way in which people associate with your brand.